Mr. Villar is the Director, President and Chief Executive Officer of Vista Land and Lifescapes, Inc. as well as a Director of Starmall, Inc., two very large Philippine corporations. 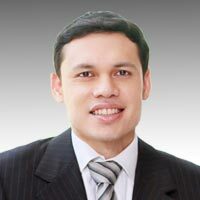 He was previously Head of Corporate Planning for Crown Asia and a consultant for McKinsey & Co. Mr. Villar is a graduate of Wharton School of the University of Pennsylvania with a Bachelor of Science in Economics and Bachelor of Applied Science. 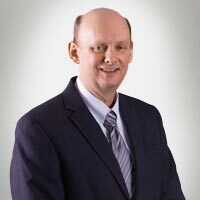 Jim Moore is an expert in mine and process design and evaluation. He has more than thirty-five years of experience in mining and metallurgical design, engineering and operation. He has devoted considerable time and energy to engineering and operations management of copper metallurgical extraction processes as well as leaching, solvent extraction, electrowinning, concentrating, smelting and refining of copper. Prior to joining St Augustine, Jim was the Director Technical for General Moly, Inc. Jim has a BS in Metallurgical Engineering and is a Registered Professional Engineer. 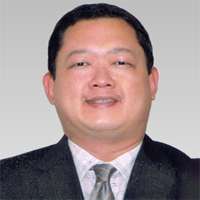 Mr. Yu has twenty years of experience as a litigation and corporate lawyer. Prior to joining St. Augustine, he was the General Manager of a television and radio broadcasting company. Thereafter, he joined the Government and was the Undersecretary for Legislative, Policy and Legal Affairs and Undersecretary for Administration and Finance of the Presidential Communications Operations Office (formerly Office of the Press Secretary). Mr. Yu was also a former Chairman of the Association of Southeast Asian Nations (ASEAN) Senior Officials Responsible for Information (SOMRI). He is a Director of Kingking Mining Corporation and Nationwide Development Corporation. Mr. Yu finished his undergraduate studies from the Ateneo de Manila University and is a graduate of the San Beda College of Law (Mendiola).